Husband Sneaks Wife's Dog Into Hospital, So That She Can See Her "One More Time"
Fair warning, folks: this bittersweet story left me an emotional wreck, and if you love dogs as much as I do, you’ll probably be the same. This loving boost is especially valuable for those of us who are going through tough times – for example, being seriously ill in hospital. Unfortunately, most of the time, dogs aren’t allowed in hospitals, despite being the place where their owners probably need their love most. There is good reason for this – dogs can be a risk to hygiene, and hospital staff need to look out for the best interests of their patients. On the flip side of that, evidence suggests that that visiting with a pet while hospitalized improves a patient’s mood, as well as reducing their levels of anxiety. A story posted by Reddit user named Mel has gone viral because of the lengths he and his dog went to to visit his sick wife, who was seriously ill in hospital. One can only imagine how hard it must have been for Mel to hear these words, but he knew he had to honor her wishes. 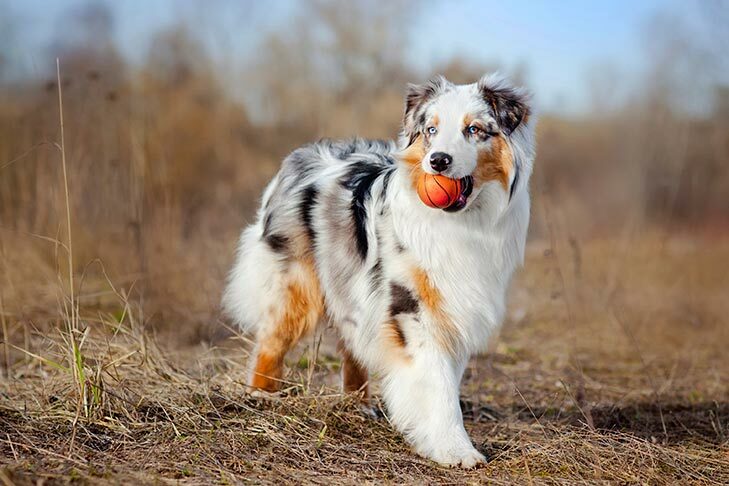 Mel decided to sneak their 50-pound Australian Shepherd into her hospital room in the only way he knew how – by hiding the dog in a suitcase. Why do I feel like the dog will have perfectly understood what was going on? They’re way smarter than we give them credit for. Well, I mean, technically he wasn’t lying about that. “The dog immediately started licking her, and quietly moaned, as if knowing that barking would definitely blow our cover,” Mel wrote. Like I said – that dog knew exactly what was going on. Thankfully, the pain subsided, and Mel’s wife was able to spend that precious quality time with her beloved dog. Sadly, Mel’s wife passed away a few days later. We’re just so glad that she was able to see her beloved pet one more time, as she wanted. 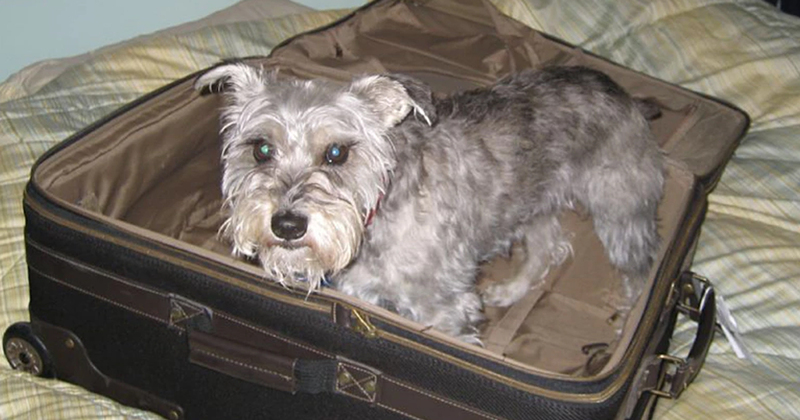 In a heartbreaking end to the story, Mel added: “Now, whenever I grab the suitcase, the dog thinks we are doing to see her again”.